Hlomla Dandala has become a household name in South Africa, through his many years in the South African film industry as an actor, presenter and director. He is best known though for his work as an actor on Scandal and SABC3’s Isidingo as Derek Nyathi. He was also on SABC1’s political thriller mystery drama series End Game, as Jet Hlatswayo, Minister of the Environment. 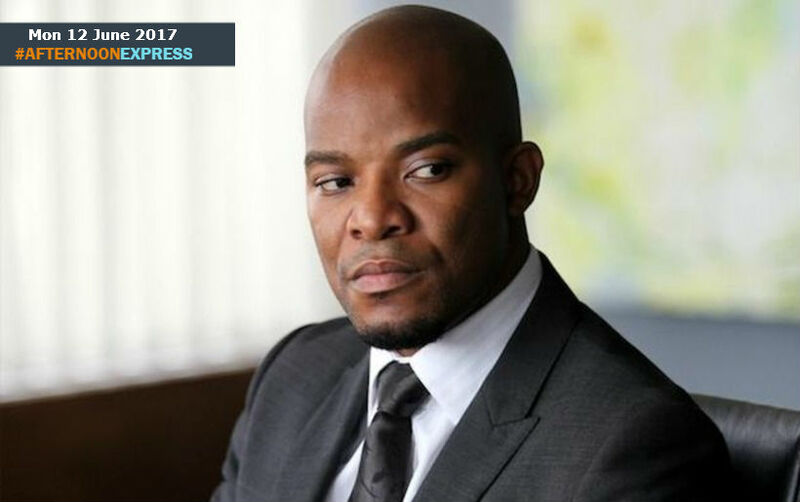 He has also had major roles in many other series such as Interrogation Room, Tsha Tsha and Gaz'lam. He has previously directed a few episodes of soapies such as Generations, Gaz’lam and Backstage. Hlomla has had years of major success on the small screen but he also diversifies into film and has even worked on international films such as Lord of War, and he also co-stars on the new Nelson Mandela mini-series ‘Madiba’, as Thabo Mbeki’s late father, Govan Mbeki. Fellow South African actress Terry Pheto has stars in in it playing Nelson Mandela’s ex-wife ‘Winnie Mandela’. They co-star along with American actors ‘Lawrence Fishburne’ who plays Nelson Mandela and Orlando Jones who plays Oliver Tambo. The production is collaboration between American channel BET and Mandela’s grandson, Kweku Mandela, and his Out of Africa Entertainment Company.